Download "Nursing Programs Philosophical Concepts"
2 with the opportunity to: identify and explore needs and/or problems, discover healthy ways of meeting basic needs, integrate new knowledge and skills, experience satisfying interpersonal relationships, and achieve the optimum level of health and wellness. These skills are aimed at preserving respect and fostering growth of patients and families. Collaborative Communication Is the foundation of effective teamwork. It requires verbal (spoken, written, or electronic) and non-verbal skills necessary for interacting, planning, decision making, problem solving, and goal setting with health team members to achieve positive patient centered outcomes. This is essential for fostering continuity of care, and maintaining a culture of safety. Critical Thinking The knowledge based, goal directed process of gathering, analyzing and synthesizing data to make decisions and formulate judgments in the provision and management of patient care. The nurse uses an objective scientific problem solving process in a context of cultural, clinical and individual variables to provide and to manage care and to promote health for patients and families. The outcomes include safe effective care that meets the psychosocial and physiologic needs of the patient and family. 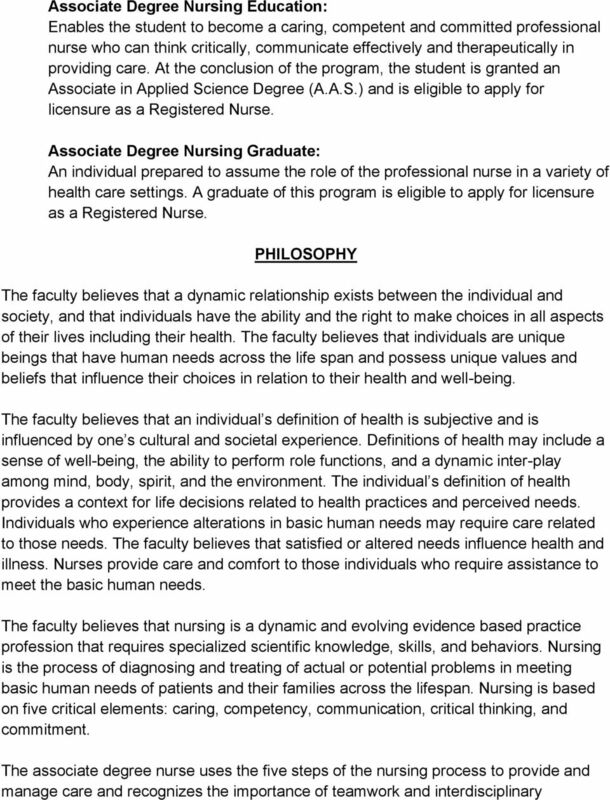 Commitment A pledge to understand and adhere to standards of professional nursing practice and to abide by the Westmoreland County Community College (WCCC) Nursing Program, WCCC College Student Handbook, and Agency Standards. It is essential to be committed to uphold legal and ethical codes of professional nursing practice and to commit to active lifelong learning to develop professional identity and on-going professional growth. 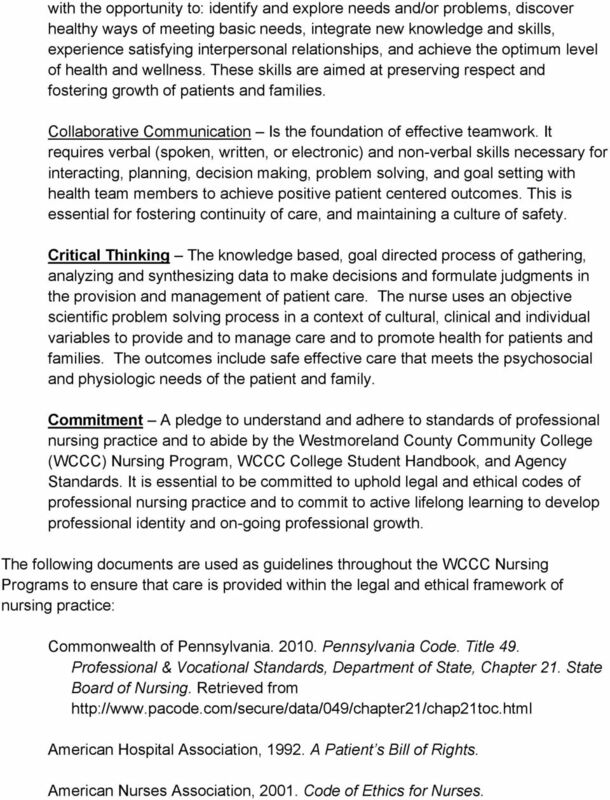 The following documents are used as guidelines throughout the WCCC Nursing Programs to ensure that care is provided within the legal and ethical framework of nursing practice: Commonwealth of Pennsylvania Pennsylvania Code. Title 49. Professional & Vocational Standards, Department of State, Chapter 21. State Board of Nursing. Retrieved from American Hospital Association, A Patient s Bill of Rights. American Nurses Association, Code of Ethics for Nurses. 3 American Nurses Association, Scope and Standards of Practice (2 nd Ed.). Healthy People 2020 online at International Council of Nurses (1973) ICN Code for Nurses. Ethical Concepts Applied to Nursing. 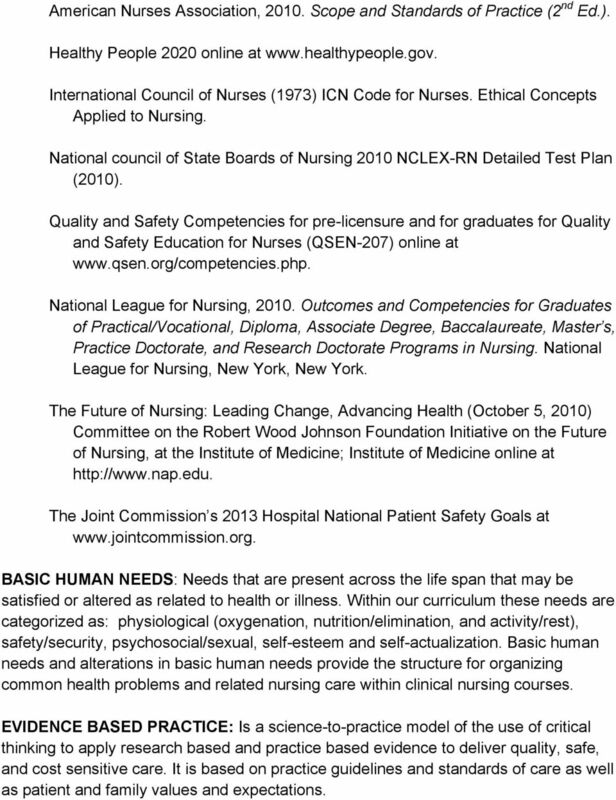 National council of State Boards of Nursing 2010 NCLEX-RN Detailed Test Plan (2010). 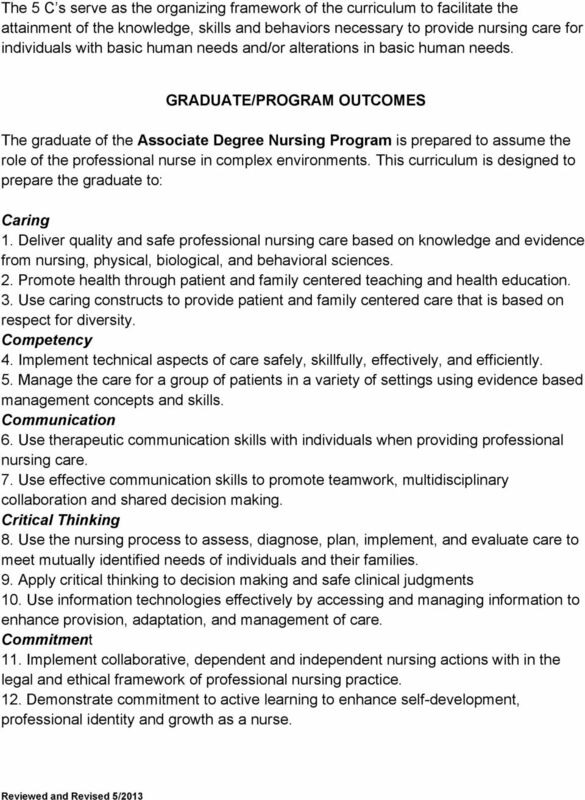 Quality and Safety Competencies for pre-licensure and for graduates for Quality and Safety Education for Nurses (QSEN-207) online at National League for Nursing, Outcomes and Competencies for Graduates of Practical/Vocational, Diploma, Associate Degree, Baccalaureate, Master s, Practice Doctorate, and Research Doctorate Programs in Nursing. National League for Nursing, New York, New York. The Future of Nursing: Leading Change, Advancing Health (October 5, 2010) Committee on the Robert Wood Johnson Foundation Initiative on the Future of Nursing, at the Institute of Medicine; Institute of Medicine online at The Joint Commission s 2013 Hospital National Patient Safety Goals at BASIC HUMAN NEEDS: Needs that are present across the life span that may be satisfied or altered as related to health or illness. Within our curriculum these needs are categorized as: physiological (oxygenation, nutrition/elimination, and activity/rest), safety/security, psychosocial/sexual, self-esteem and self-actualization. 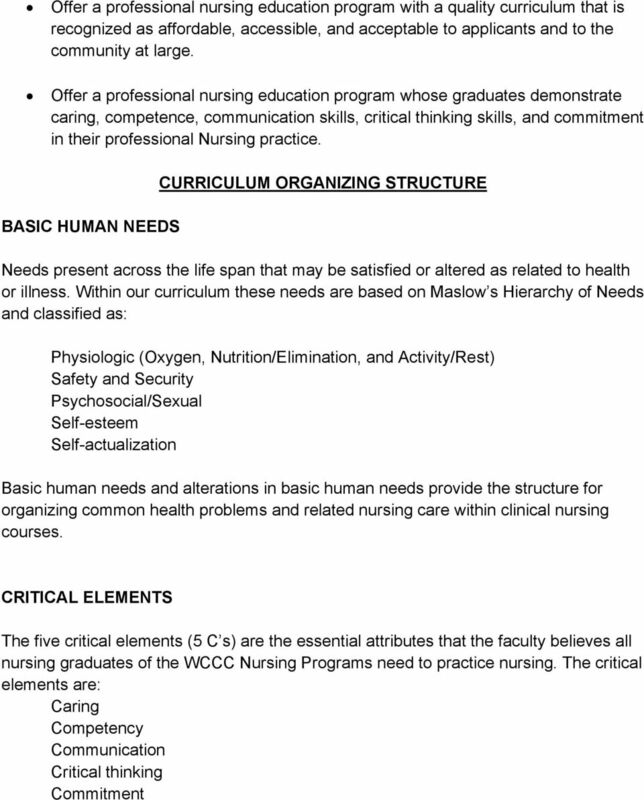 Basic human needs and alterations in basic human needs provide the structure for organizing common health problems and related nursing care within clinical nursing courses. EVIDENCE BASED PRACTICE: Is a science-to-practice model of the use of critical thinking to apply research based and practice based evidence to deliver quality, safe, and cost sensitive care. It is based on practice guidelines and standards of care as well as patient and family values and expectations. 4 HEALTH: It is a dynamic state of wellbeing characterized by a physical, mental, and social potential, which satisfies the demands of a life commensurate with age, culture, and personal responsibility. Illness: A condition related to an alteration in the satisfaction of basic human needs. INDIVIDUAL: Man, woman, child or infant who has an essential need for care to satisfy basic human needs across the life span. Needs may be satisfied or altered and can be related to health and illness. Individuals possess unique values and beliefs which influence their choices in relation to their health. Family: A system of relationships where members share activities, are emotionally involved with each other, and who usually live together or in close geographic proximity. Members are committed to the well-being of the family and share a past, present, and future. A family is defined by its members. NURSING: A dynamic and evolving evidence based practice profession that requires specialized scientific knowledge, skills, and behaviors. Nursing is the process of diagnosing and treating of actual or potential problems in meeting basic human needs of patients and their families. 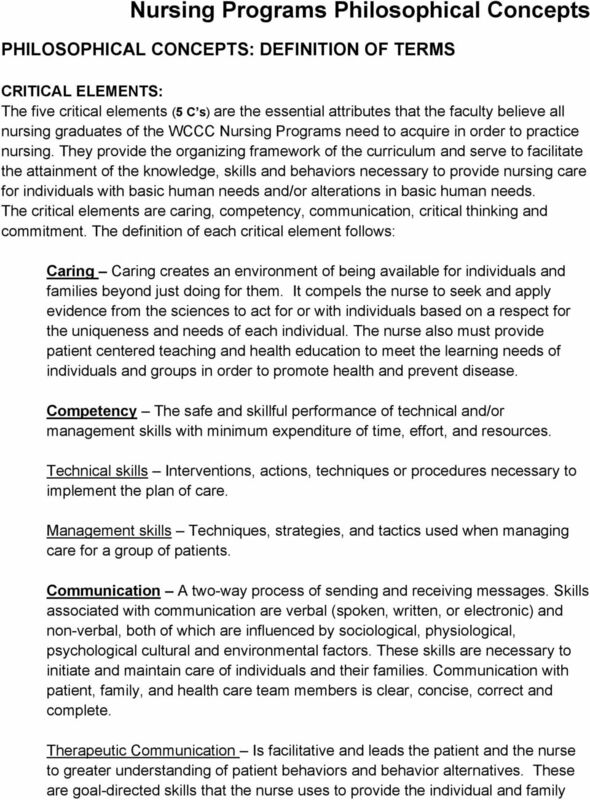 Nursing is based on five critical elements: caring, competency, communication, critical thinking, and commitment. 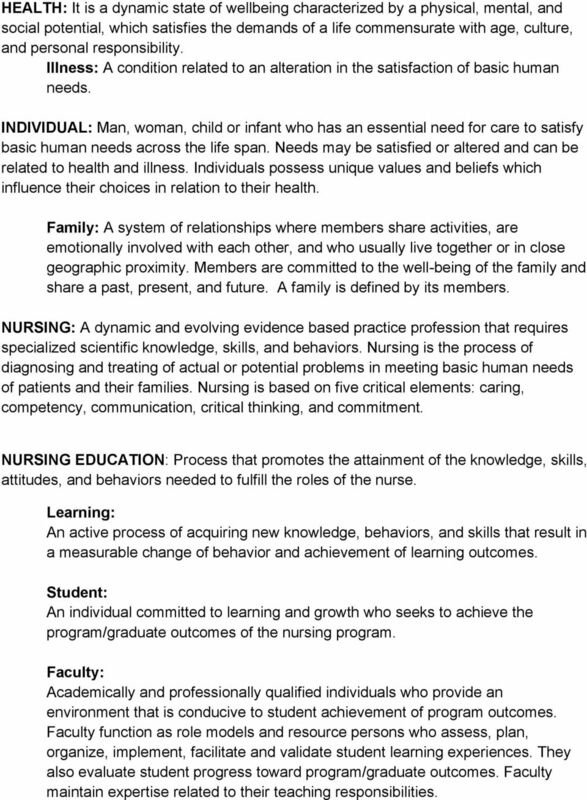 NURSING EDUCATION: Process that promotes the attainment of the knowledge, skills, attitudes, and behaviors needed to fulfill the roles of the nurse. Learning: An active process of acquiring new knowledge, behaviors, and skills that result in a measurable change of behavior and achievement of learning outcomes. 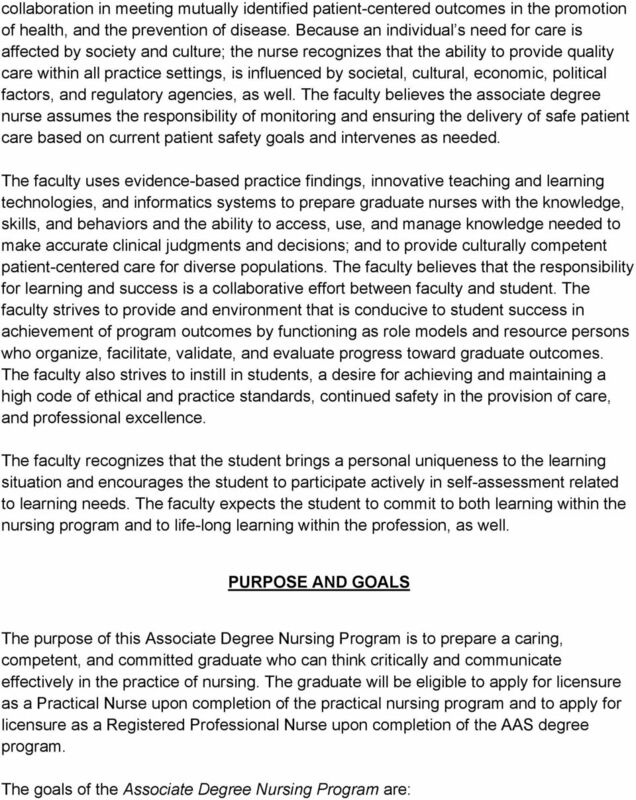 Student: An individual committed to learning and growth who seeks to achieve the program/graduate outcomes of the nursing program. Faculty: Academically and professionally qualified individuals who provide an environment that is conducive to student achievement of program outcomes. Faculty function as role models and resource persons who assess, plan, organize, implement, facilitate and validate student learning experiences. They also evaluate student progress toward program/graduate outcomes. Faculty maintain expertise related to their teaching responsibilities. into the for Entry Following Entry into care team the Allied Dental Assisting guidelines. professions. programs. FOR THE. Preamble. presented in. values, and the delivery. and that the. and ways to divided into. Define the dentist; practice.